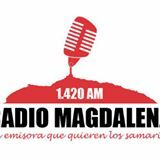 Radio Magdalena was heard with good signal on October 24, 2014 in Lemmenjoki. The station is quite regularly heard on 1420 in Finland as is Vida AM in Manizaleas. Magdalena was first logged in Finland in January 1987 and the first reported QSL from the station was received by Pekka Kostiainen (PK), then under the name Caracol Santa Marta, in 1993. During the last couple of years the station has re-taken the old name R Magdalena which is nice. I personally wish that all HJ-stations belonging to the big chains Caracol, RCN and Colmundo etc would to the same. Surprisingly I found that I never had reported Caracol Santa Marta even though I have heard it several times both in Lapland and in my home QTH so now I sent a report to R Magdalena and received a confirmation. Fuego AM (ex. Ecos de Colombia, exx. El Mundo en Bogotá, exxx. Total etc) ) is logged every now and then on 1160. Also two other Colombians have been logged a couple of times in the Nordic countries during the past couple of years: R Aeropuerto, Barranquilla and Frequencia Bolivariana, Montería but these are by far more rare here as is R Unica, Cali logged in Finland 2006. Received a FB message from Fuego AM. HJNT Radio Huellas is fairly common on it’s present split 1470.08v. 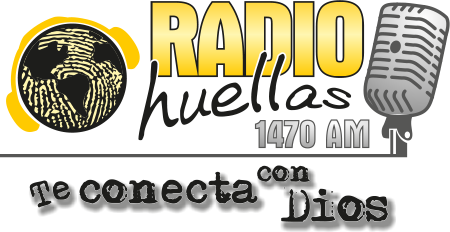 During the past ten years Huellas (formerly Restauración) has been by far the most common HJ-station on 1470. As a matter of fact, with the exception of Ondas del Ibagué (often relaying R María programs), the other listed Colombians are tricky to catch in the Nordic countries. R Popular, Medellín is surprisingly rare nowadays compared to the 70’s when it was one of the most common upper band Colombians, then under the name of R Ya! Colmundo, Cartagena, R Futurama, Pacho and R Uno, Iza, has been logged only a couple of times here. Radio Huellas verified my latest report from last October with a Facebook message. Blu Radio Cartagena (ex. R Bucanero) was heard during LEM345 in late October 2014 with a decent signal. This is a rather new chain of radio stations in Colombia (established in September 2012) comprising, at this moment, 8 FM stations and 2 AM stations in the order of: Calí 91.5, Eje Cafetero 94.1, Villavicencio 96.3, Bogotá 96.9, Medellín 97.9, Barranquilla 100.1, Neiva 103.1, Boyacá 103.1, Bucaramanga 960 (ex Candela) and Cartagena 1090 (ex Bucanero). 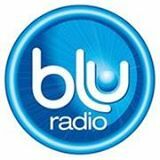 Blu Radio is going to open three more FM stations in capital cities shortly. The aim is to have the entire station chain on FM. 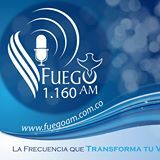 In Bucaramanga and Cartagena, however, there are presently no FM frequencies available, hence the two AM frequencies 960 and 1090. Thanks HK for your help! I got a very descriptive and nice email confirmation a couple of days ago. HJAX La Voz de Nostalgia 1080 was one of the many Medellín-stations audible on January 21, 2014. 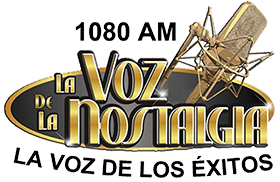 The station was periodically booming in with strong signals around 06 UTC with several “La Voz de Nostalgia – La Voz de los exitos” ids. A couple of months ago I received a message from the station asking for a mp3 from me with greetings from Finland about the catch. Also some other listeners in Finland got a similar message. The message could not be counted as a verification though. As a result of a recent f/up I received the message upon my verification request: “Muchas gracias!!! Sí señor, recibimos su reporte de sintonía.“. I count this as a verification on my report.